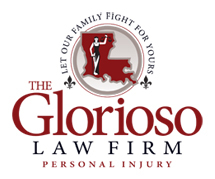 CASE: A 70 year old gentlemen from New Jersey was on a chartered commercial bus with a group of friends leaving a casino on the gulf coast heading to New Orleans when the vehicle in front of the bus suddenly stopped causing a rear-end collision. The plaintiff was thrown from his seat and suffered a lung and chest injury.. TGLF argued that the Bus driver was negligent and inattentive and could have avoided the accident. The case was settled before trial for $285,000.